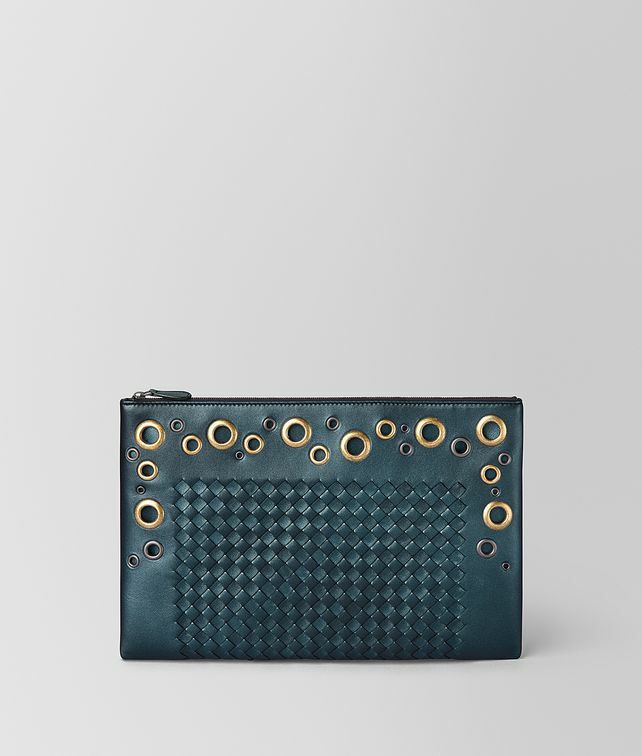 This versatile pouch is made in metallic nappa with a center panel of intrecciato framed by smooth leather that is embellished with metal eyelets in various sizes and finishes. The pouch can be carried as a clutch or stored inside a bag to organize small essentials. Finished with a cotton-lined interior.